Is it Possible to Buy a Zero-Energy Ready Home Without Breaking the Bank? Is it possible to build, buy, or rent affordable, hyper-efficient home –- what the U.S. Department of Energy calls Zero-Net Energy or Zero Energy Ready Homes? A Zero-Net Energy (ZNE) building represents the next evolution in home efficiency, bringing together advanced technologies and building methods to create a house or apartment structure that potentially can produce as much energy as it uses (hence, the term Zero Energy, because the buildings don’t require more power than they generate). ZNE buildings have energy efficient systems (the envelope or building enclosure, lighting, air conditioning, heating and ventilation), plus enough renewable energy (typically solar photovoltaic), to let it produce as much energy as it uses during a year. A Zero-Energy Ready Home (ZERH) is basically an energy efficient home that, with the addition of renewable energy, can become a ZNE home. These super-efficient homes aren’t just for the rich; middle-class Americans can afford to buy ZERH, and public housing authorities increasingly encourage green building practices because of the well-documented economic and health benefits of energy-efficient buildings. Constructing a hyper-efficient house or apartment building doesn’t need to be expensive. An Integrated Design Process (IDP) is key to building in an efficient and cost-effective manner – and can greatly reduce (or even eliminate), the higher, upfront costs of constructing a ZERH or ZNE home or apartment building. By establishing an IDP early in the process, the construction team (owners, engineers, operation and maintenance managers, and construction trades), collaborates on all phases of the design, construction, and operation of the building, enabling the team to set priorities and plan ways to offset additional cost. A well-organized IDP also should eliminate (or at least reduce) change orders, which will go a long way toward keeping any project on budget. Most of the cost concerns about building to ZNE or ZERH standards can be eliminated by controlling and prioritizing the various expenses associated with construction. The “true costs” of homeownership, or even renting, extend beyond the initial price or rent; they also include the utilities and maintenance expenses. In a conventionally built home or apartment, space heating, cooling, and electricity costs average $200 per month and can vary greatly seasonally, especially during extreme weather event. In fact, many low-income Americans struggle with paying their bills because they live in inefficient buildings. For some people, utility bills represent nearly half of their housing costs per month, so the expense of heating, cooling, and lights can have a huge impact on housing affordability. The energy costs of living in an inefficient home are so high that an estimated 36 percent of all Small Dollar Credit loans are due to utility bills. For example, New Orleans is one of the least energy-efficient cities in the U.S., with many low-income people paying as much as their mortgage for their energy utility bill. By contrast, in a ZERH/ZNE home, the heating and cooling cost are low to zero for the life of the home, providing greater financial certainty for the owners or tenants. A ZERH or ZNE home has a higher appraisal value than a conventional-built structure, fetching an average 9.5 percent premium. Studies have also documented the link between inefficient housing and bad health. Most new buildings can easily transition to ZNE or ZERH, but not every building can become ZNE or ZERH especially when we look at existing buildings because retrofitting existing homes to these standards can be costly. 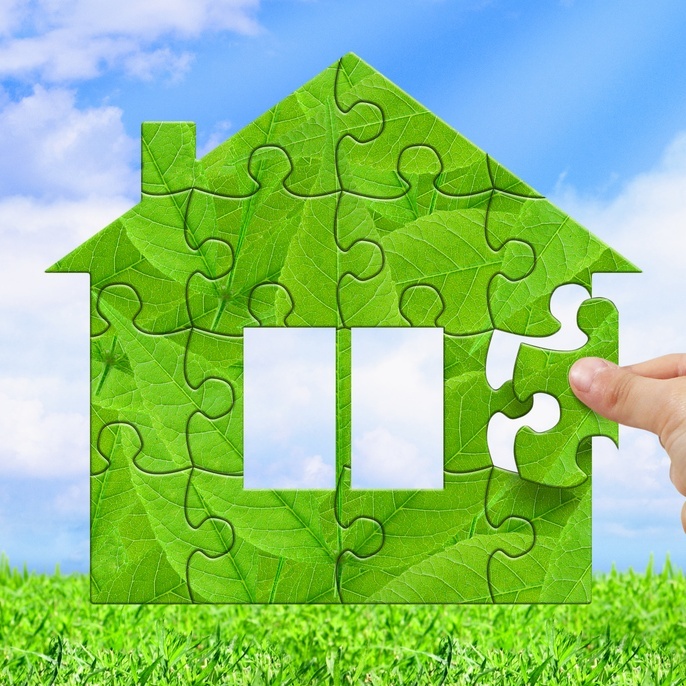 Energy-efficient upgrades can, however, still lower utility bills and make the house or apartment more comfortable. After considering the increased comfort, energy utility savings, durability, health benefits, and increased value of ZERH, the answer is clear: Yes, you can buy ZERH without breaking the bank. Energy efficiency not only improves the household finances of occupants, it also creates longer-lasting housing stock and can strengthen communities for generations to come.